He says many servicemen are willing to continue on contracts. The Defence Ministry has said that there will be no large-scale mobilization of Ukrainian citizens during its seventh round. "The seventh wave of mobilization will be carried out with an intention to significantly improve the quality of the Ukrainian Armed Forces personnel in mind. We do not need a bundle. It is time we move from quantity to quality. 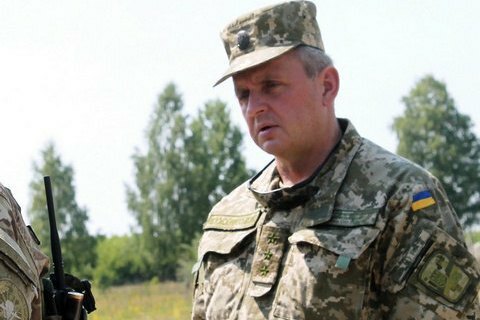 There are enough motivated men in Ukraine who are willing to join the ranks of fatherland defenders," the Defence Ministry's press service quoted General Staff chief Viktor Muzhenko as saying. Those who have completed their mobilization service will be given preference. The exact demand for new servicemen will become clear in late March, however it is already expected that it will be lower than in the previous rounds. According to Muzhenko, this has to do with the fact that many servicemen are willing to continue on contracts.